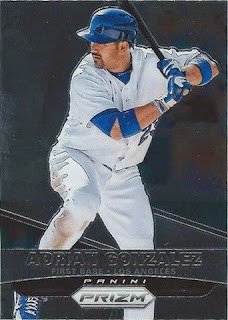 Panini America's Prizm Baseball card set is back and now you can check out all of the Dodger base cards below. Go here to see a complete checklist. 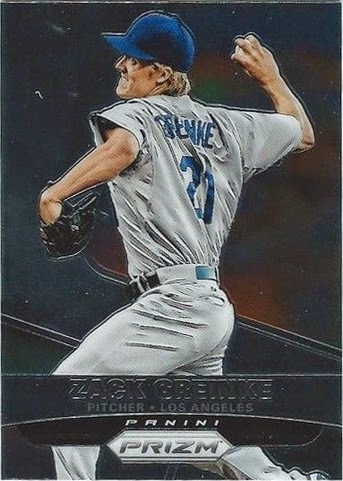 The Prizm set is a super-shiny silver-like set. Unfortunately, scans of the base cards often look much darker than they really are. So, don't be mislead into thinking that the backgrounds of these cards are as dark as the photos below suggest. There are only seven Dodger players in the base set. Check them all out below. BTW, I included pics of a couple of the parallel cards that can be found - just because I think they are really cool looking. The below two cards of Ryu and Rollins are examples of two of my favorite parallel cards available in the set. 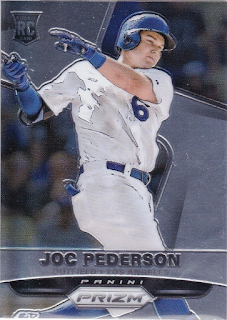 The Ryu card is the "Tie-Dyed" version and the Rollins is the "Jackie Robinson #42" parallel.